Ajami is a Arab-Jewish collaboration drama. Directed by Scandar Copti, a Palestinian and former mechanical engineer and Yaron Shani- the Jewish side of the story. I don’t think this sort of project is all that common. The film is built around five character stories. It’s one of those films where the stories co-mingle and past through each other, but still preserve their individuality. 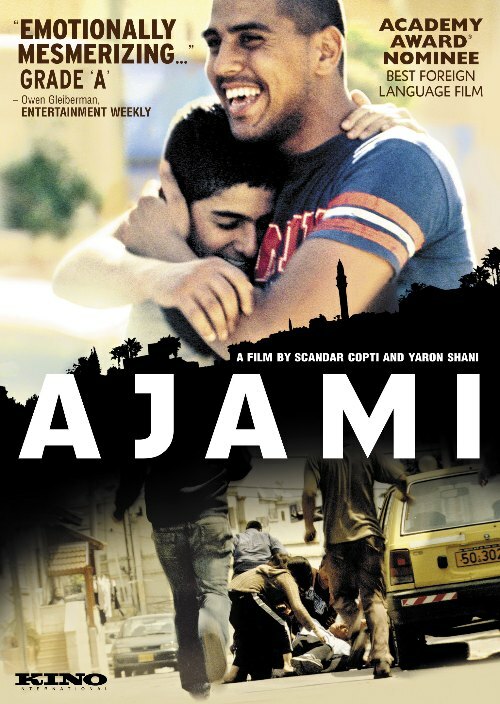 Narrated by Nasri- a young Arab-Israeli, who lives in the neighbourhood of Ajami (from which the filmed is named). The story starts out with the neighbour of Nasri getting shot. by a well known group of bad guy Bedouins. It was in reaction to the uncle of Nasri, shooting and paralysing one of the family members of said Bedouin family. He was offended that this guy would come into his business asking for (protection money/money in general) for whatever reason. What scares the family though, was that this drive by shooting was meant for the older brother of Nasri, Omar. The family is split up, for fear that they would come back. Omar is left with his grandfather and mother to look after. He seeks from help an big business guy in the community, Abu Elias. He arranges for a cease fire and an event “court hearing” to deal with things. I don’t really understand the court hearing, it seemed particularly bias and controlled mainly by the elders of the community. The male elders. What’s decided is that he is set to pay tens of thousands of dollars. Of course this kid lives in an impoverished neighbourhood and that to get a goal like that, means doing petty crime. We need better elders. The second story involves Malek, a friend of Omar. Both working in the same restaurant. Unfortunately, his mother is very sick, and he’s trying to save up for the treatment. The third story is a sad encounter between a Jewish man and a couple young thug Arabs. The results of this situation, causes an uproar in the media and an connection between one of the officers on the scene and his personal quest of finding is lost brother. The fourth and fifth parts, involve drugs. Drugs all the time, it what causes the climax of the film and what ruins everyone’s lives. People die in the end. I’m not going to say who. I know I abruptly ended the review. But I was starting to notice I was going into way too much detail about the film and man- you just need to watch it. There’s action, there’s romance and there;s an upsetting story. What I also really liked about this filmed, was the rough filming. It gave an even better view of the story, and connected better to the lifestyle the characters were living. I also read that they purposely used non-professional actors, to gain the right feel they were looking for. I thought that was an interesting fact, and it gave the film a documentary feel. I wonder if the actors were found the specific neighbourhood they were filming?